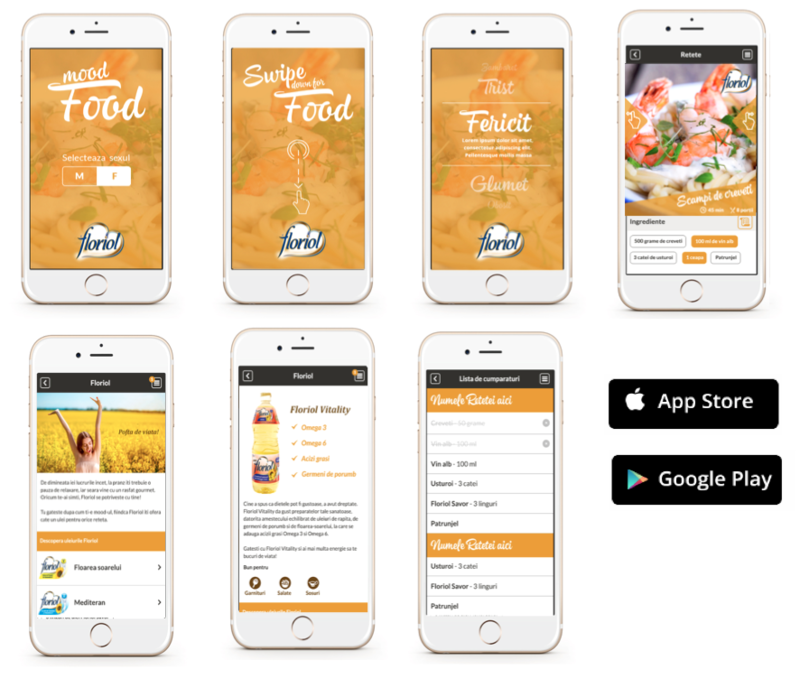 Feeling relaxed with Atelieru: we’ve just launched our new Android and IOS app for Bunge’s premium cooking oil brand – Floriol, thus further strengthening its position as an innovator in the cooking oil category. The app is full of great recipes, based on a simple and powerful insight: the strong relationship between food and the way we feel. That’s why, instead of a classic ingredients filter for tasty recipes, our app filters them according to your mood. Feeling exhausted? Try our Pasta Primavera. Feeling sad? Try our Shrimp Chowder!